1. Shooting a scene for HDR with auto-bracketing of EV+/- 2. 2. 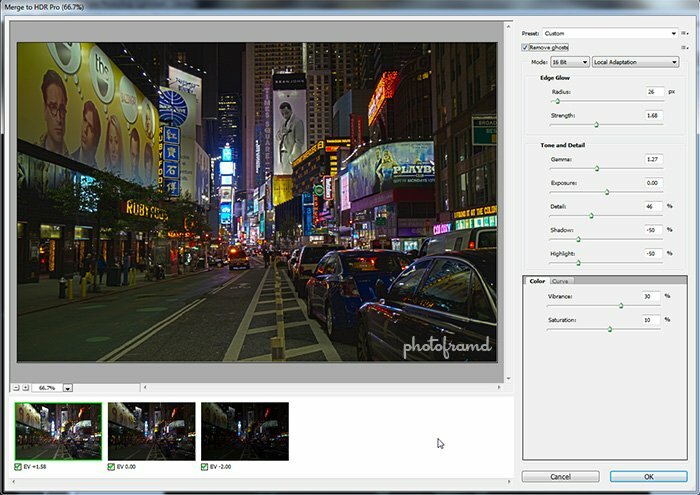 Using Photoshop CS5’s Merge to HDR Pro to assemble the photos. 3. 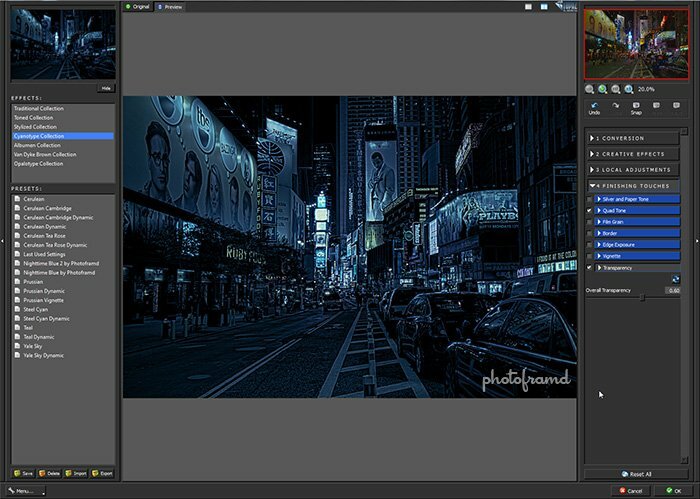 Duplicate the layer containing the final HDR composite and start the fun! 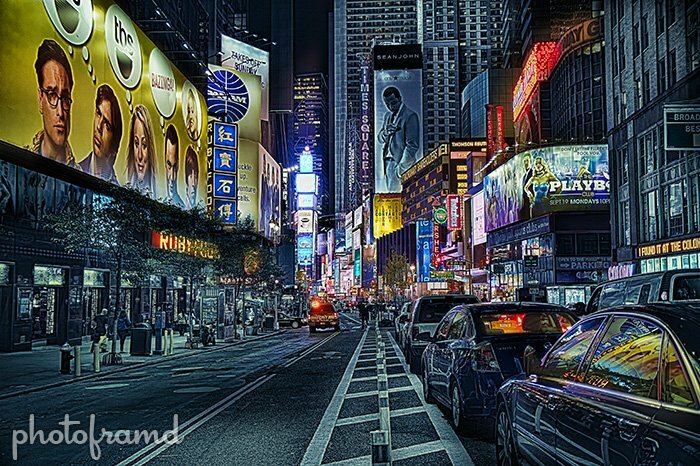 Once you have the 16-bit HDR image, you have the starting point for some really cool manipulations. To keep it quick and simple, you can’t beat the plugins from Topaz Labs. The above screen is from Topaz Labs’ new B&W Effects plugin. I love the Cyanotype group. It is perfect to create this night-time blue look. I started with the Steel Cyan preset and tweaked from there. One important tweak is under the Finishing Touches to set the Transparency to 60%. This change will retain some of the original color from the photo to create the subdued night-time hues. 4. Create the electric colors in another layer. I duplicated the original HDR layer again and used Topaz Adjust to pop the colors. I started with my Grunge Me by Photoframd preset and increased both the Saturation and Saturation Boost settings to intensify the colors. 5. One more layer to bring out the shadow details. 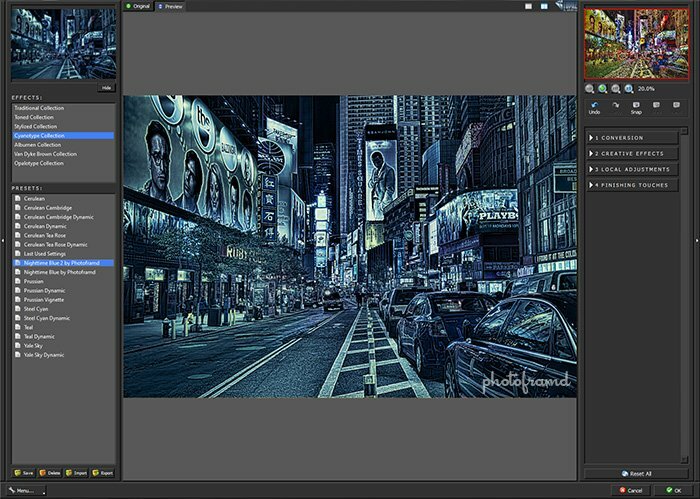 Duplicate the layer that was just created in Step 4 with Topaz Adjust. Now, apply the B&W Effects to this layer using the same Steel Cyan preset. Topaz Adjust emphasized the contrast in the details and the B&W Effects will create a look that blends perfectly with the darker image. 6. Blending the Layers together. Now the fun part! Take a look at my layer stacking order. The layer from Step 5 is on the top, followed by the layer from Step 3 and then Step 4. I am using masks on these layers to selective reveal the parts that I want in the final composite image. The based image is the night-time blue from Step 3 (labeled “B&W Effects”). I added a mask to this layer and painted with black in the mask to reveal the electric colors from the Step 4 layer (labeled “topaz adjust”) below. My goal was to reveal the lights and reflections in the Step 4 layer and make those colors POP. To finish the composite, I added a mask to the Step 5 layer (labeled “topaz adjust + B&W Effects”) and painted black in the mask to selectively reveal more of the details in the shadow areas. Once you are happy with the masks on each layer, take a look at how the layers work together. 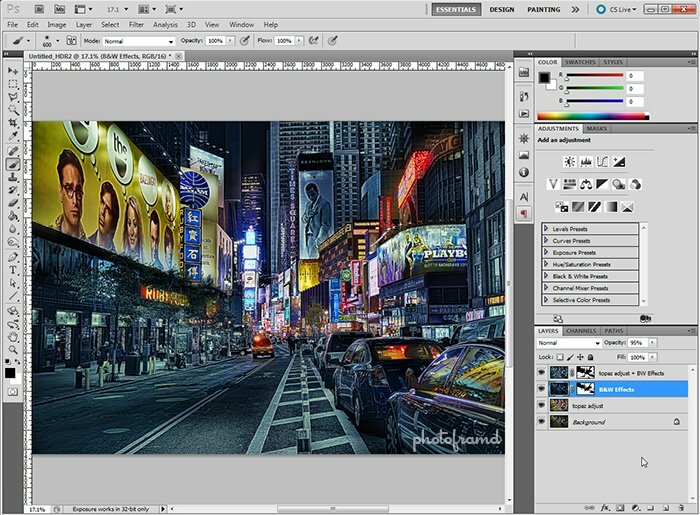 It is a good idea to adjust the opacity of each layer so that there is real blending between the layers. For example, the Step 5 layer (labeled “topaz adjust + B&W Effects”) I have set for an Opacity of 85% and the Step 3 layer (labeled “B&W Effects”) has an Opacity of 95%. You can even adjust the opacity on the Step 4 layer (labeled “topaz adjust”) to decrease the electric colors since you still have the original HDR layer underneath. It’s the power of using layers! The final composite photo is very dramatic and only took a few minutes to create. 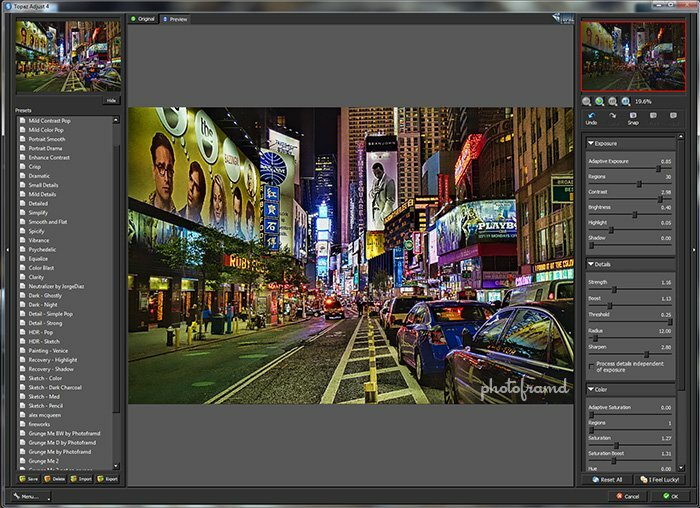 Cool tutorial I have Topaz Adjust but never used it much. Will have to try some of these techniques. Well done. Thanks! I have used Photomatix but always fall back on what’s familiar – working in Photoshop. And, Photoshop’s Merge to HDR Pro is the best at handling ghosts.